Ashley Cavallaro was born and raised in Providence, RI. She is an alumna of New Urban Arts. She graduated from Wheelock College with a B.A. in Studio Art with a certificate in Community Based Human Services. 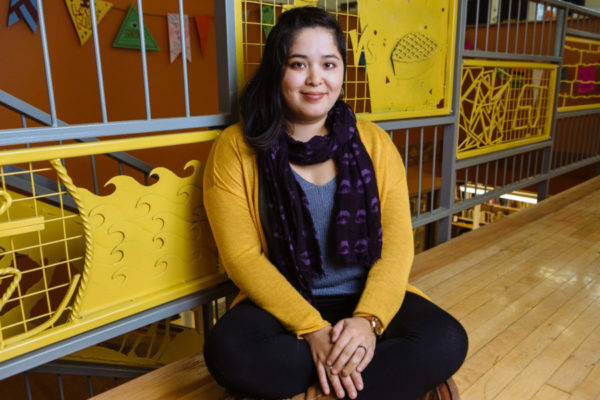 Ashley is currently the Youth Programs Manager at NUA where she pursues her passions in youth development, building community and fostering a lifelong creative practice. Ashley’s own creative practice includes painting, photography and hiking up and down mountains. She strives to live honestly and create capacity for making mistakes and forgiveness of others and self.